The Society of Wetland Scientists (SWS) is an international organization made up of over 3,500 members whose mission is to advance the wetland profession from a scientific and academic viewpoint. It is one of the few organizations that offer a platform for the exchange of information between the various fields within wetland science. In addition to offering its members a vast number of resources including access to job postings, training and workshop programs and the opportunity to connect with other scientists, the SWS also provides a certification program that identifies qualified professionals that can assess and manage the Nation’s wetland resources. Talk to us about your members… what type of work do they do? Our members include professors and researchers at colleges and universities worldwide, and researchers and regulators in government that write policies and laws as well as implement them on projects. We have members who work in the private sector and for non-profit organizations as ecologists, hydrologists, soil scientists, botanists and in other wetland science fields. The annual meetings are an opportunity for people to come together from different fields within wetland science to have conversations with fellow peers that they would not typically interact with. The meetings include workshops and presentations with leading experts in their fields discussing anything from innovative research projects to new regulations in the industry; there are also field trips and workshops where members can gain hands-on experience. Since our membership is international, there is also the opportunity to gain an understanding of different world perspectives in terms of regulations, social values, and research. Members who attend the meetings realize growth and change in our industry is very much a collective effort. This is a place where we can come together as a group to share ideas with one another, making it both a place to learn and be challenged mentally as well as a great networking opportunity. What we have found over time is that if we get equal feedback saying that the meeting covered too much science or had too much talk about regulations, we feel like we are hitting the mark of balancing the seminars between academia and regulatory topics for our audience. How does color play a role in wetland science? Color is very important from a soil standpoint, especially when looking at wetland delineation [a review that is conducted to determine if wetlands are present on a site] where you have to be able to identify hydric soils with confidence and accuracy. Can you make a determination if the soil is wetland soil by sight alone? We joke around in the field and try to guess just by sight but as a wetland scientist I use the Munsell soil chart to verify soil colors. These tools are standard in our profession for a reason and it is appropriate to use them as the Munsell soil chart is easy to use and very effective in identifying soil colors. When you get to the site, you are looking for the obvious clues as to whether or not a wetland would occur there – ponding water, a depression in the land, areas where water could pond, overall topography, are wetland plants present, and so on. a. Species identification: Are there wetland plants present on the site? b. Wetland plant dominance: What percentage of wetland plant species are on the site? a. What are the indicators that the soil is wetland soil? i. Dig a soil pit and describe the soil horizons in terms of depth, matrix color (primary color of the soil), redoximorphic features, texture, etc. Where do you see the SWS in 5 years? We know we could expand well beyond the 3,500 members that we have, particularly with the younger demographic such as students. As an organization there is a desire to want to learn more and there is so much more to understand. The more we understand, the better equipped we will be to deal with challenges. We strive to educate and inform decision makers, to get the general public aware, see the value in natural resources, even if we have to define value and help people realize the value is not always monetary. We want our work to go beyond the borders of the organization. 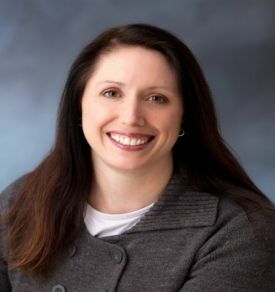 Leandra Cleveland is the Immediate Past President of the PNW (Pacific Northwest) Chapter of the Society of Wetland Scientists and the President of the Society of Wetland Scientists Professional Certification Program. She is a Wetlands Specialists at HDR Inc., an architectural, engineering and consulting firm headquartered in Omaha, Nebraska.